Hey guys! So today, I’m going to do a review on a product I recently started using for my facial imperfections. My face has been suffering from spots and blackheads over the past year now and, for me, it is very difficult to find the right skin products to keep the breakouts at bay. I don’t wear any make-up and I keep my hair out of my face as much as possible, even when sleeping. I’ve learnt from past experiences that picking at your skin is not going to do any good as it will only make the acne come back worse and leave scars. 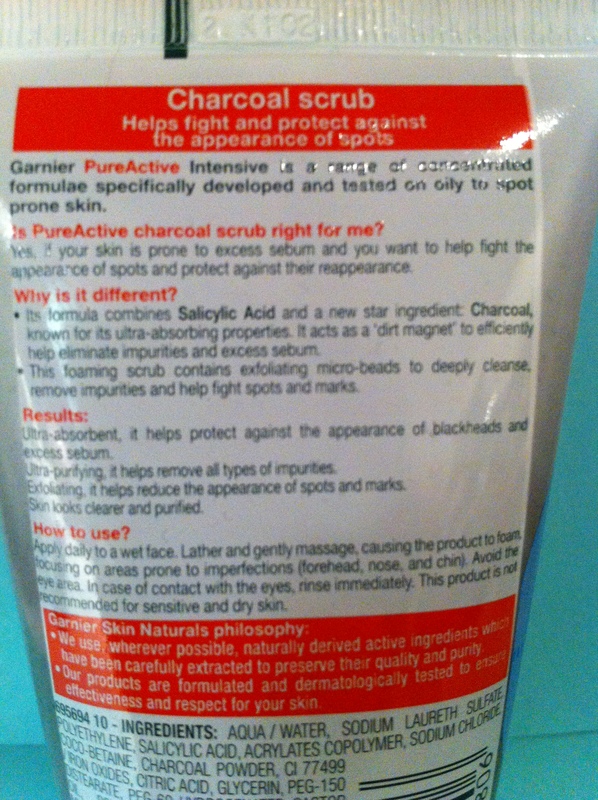 So, I recently starting hunting for a facial scrub, and discovered the Garnier Pure Active Intensive Charcoal Scrub. The scrub is normally £4.99 in most pharmacies such as Boots, Superdrug etc., yet I picked it up in Asda for only £3! 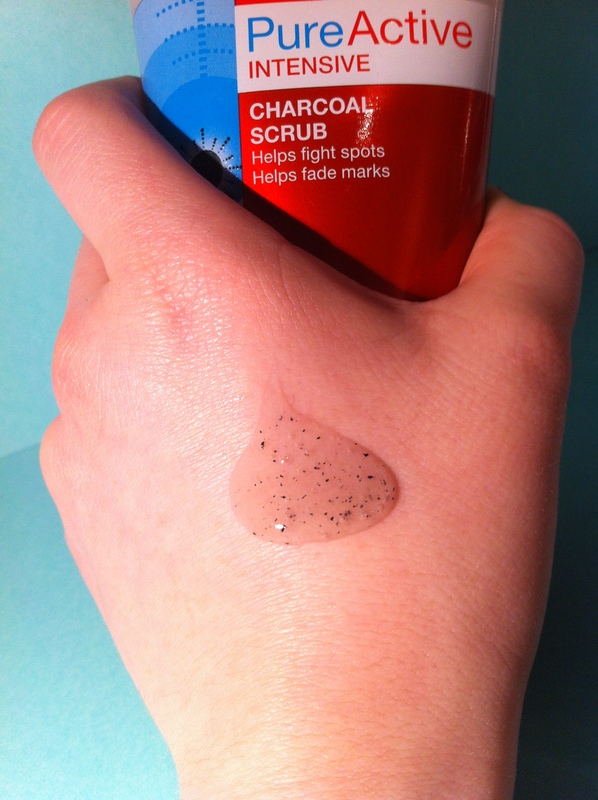 Charcoal: This absorbs excess sebum and any other impurities. Salicylic Acid: This causes the skin cells to shed faster, opening clogged pores, neutralising bacteria inside then avoids pores getting clogged up again. Micro-beads: These helps spots and marks fade, deeply cleanse the skin and remove impurities. The scrub is exfoliating, helps protect against spots and reduces the appearance of marks over time. 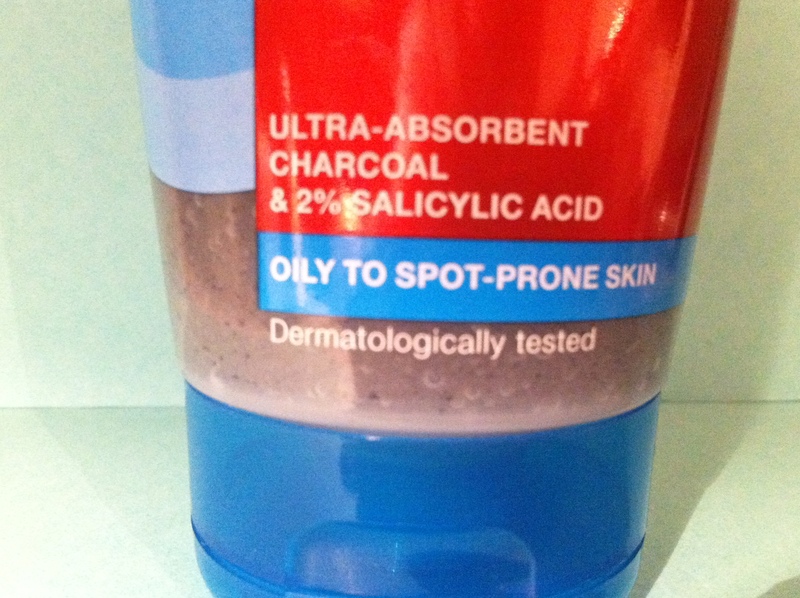 The scrub has the consistency of a thick gel where the micro-beads and charcoal particles are clearly visible. The product should be applied to wet skin (I normally like to wet my face with warm water as this opens the pores) and should be massaged gently around the face, paying special attention to the forehead, nose and chin, as these areas are highly prone to imperfections. 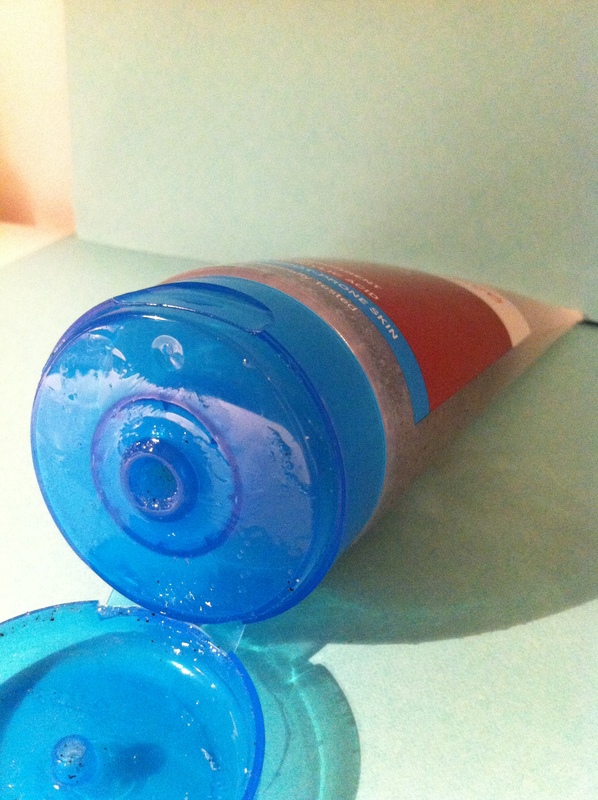 When foamy, rinse off with water (I prefer to rinse off with luke-warm water and then cold water, because cold water closes the pores and avoids bacteria re-entering). These instructions are provided on the back of the tube. 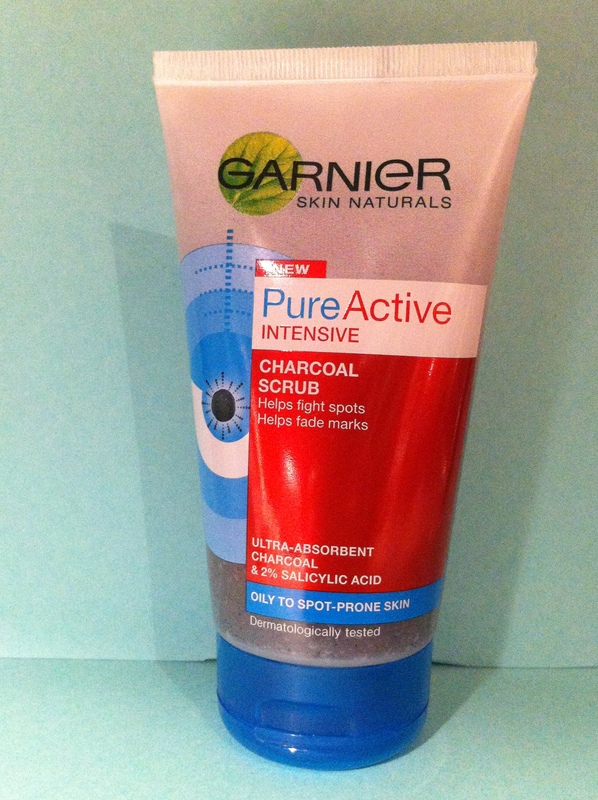 This scrub is for oily to spot-prone skin, yet is not recommended for dry and sensitive skin. The packaging of this product is a simple ‘squeeze-out’ tube. The colours on it include blue, red and black which are masculine colours. In addition, the scrub smells very refreshing and gives off quite a manly scent. In fact, Garnier is trying to encourage more men, as well as women, to use skin care products and this scrub is especially aimed at men. Skin care has always been associated with women as they tend to wear make-up. However, I believe more men should understand that it is important to look after their skin and should not be embarrassed to use products like this particular one. Reduces the appearance of spots and helps marks fade. Very affordable – at only £4.99 retail price! Not suitable for sensitive or dry skin. May need patience as it takes a while before it begins to work – like many other facial products. Overall: Personally, I am very happy with this product and have seen a difference in my skin already after only one week! Thanks for reading this review and I hoped it helped! I enjoyed writing it and sharing my opinion. Feel free to show your thoughts on this product in the comment box below! See you next time!